Scotch Gambit - Chess Gambits- Harking back to the 19th century! The Scotch Gambit begins with 1.e4 e5 2.Nf3 Nc6 3.d4 exd4 4.Bc4 (or perhaps 2.d4 exd4 3.Nf3 Nc6 4.Bc4, or 2.d4 exd4 3.Bc4 Nc6 4.Nf3). The Scotch Gambit is another off-shoot of the Scotch Game. Instead of recapturing the pawn on d4 immediately, or offering a gambit immediately with 4.c3, White develops the f1-bishop to c4, eyeing f7, and keeps Black guessing as to whether c2-c3 or Nf3xd4 will follow. If Black plays inaccurately then White can often get into favourable lines of the Göring Gambit (4.c3) following a subsequent c2-c3. However, the Scotch Gambit is primarily a means of getting into the standard Italian Game, while denying Black the opportunity to get into various lines that involve maintaining the pawn on e5 (e.g. the Hungarian Defence, 1.e4 e5 2.Nf3 Nc6 3.Bc4 Be7 4.d4 d6, and the line 3.Bc4 Bc5 4.c3 Qe7). This is because 4...Nf6 transposes to the 4.d4 line of the Two Knights Defence (1.e4 e5 2.Nf3 Nc6 3.Bc4 Nf6 4.d4 exd4) and 4...Bc5 5.c3 Nf6 transposes to the old main line of the Giuoco Piano (1.e4 e5 2.Nf3 Nc6 3.Bc4 Bc5 4.c3 Nf6 5.d4 exd4). The Scotch Gambit was used in the famous London vs Edinburgh game and was sometimes used by Paul Morphy. Minor responses from Black generally allow White a free choice between recapturing on d4, or playing c2-c3 with the aim of getting into favourable lines of the Göring Gambit. However, note that after 4...g6, White should play 5.c3 because I don't think White gets any advantage after 5.Nxd4, while after 4...Be7 and 4...d6, 5.Nxd4 leads into Hungarian Defence lines, while the gambit approaches with 5.c3 are playable but less likely to give a theoretical advantage. If 4...Bc5 then both sides should accept the transposition into the Giuoco Piano by continuing with 5.c3 Nf6, and then White chooses between 6.e5, 6.0-0, and 6.cxd4 Bb4+ 7.Nbd2, 7.Bd2 and 7.Nc3. If 4...Nf6 then I don't recommend 5.Ng5, but White can obtain interesting and equal play with either 5.e5 or 5.0-0. After 5.e5, play traditionally continues 5...d5 6.Bb5 Ne4 7.Nxd4, but 5...Ne4 and 5...Ng4 are also playable and 5...Ng4, in particular, is proving hard to crack. After 5.0-0, White gets good chances in the Max Lange Attack following 5...Bc5 6.e5, so Black should play 5...Nxe4, whereupon play typically continues with the "visual" tactical sequence 6.Re1 d5 7.Bxd5 Qxd5 8.Nc3 and Black chooses between 8...Qa5, 8...Qh5 and 8...Qd8 (the first two being more reliable than 8...Qd8 in my opinion). If White plays 1.e4 e5 2.Nf3 Nc6 3.d4 exd4 4.Bc4, then White must be ready for the Petroff Defence (2...Nf6), and the Philidor Defence (2...d6). Black also has dubious but tricky gambit lines, the Elephant (2...d5) and the Latvian (2...f5). After 2...Nc6 3.d4, however, Black has no good way to hold onto the strong-point on d4. 3...d6 gives White a pleasant choice between 4.dxe5, 4.Bb5 (transposing to the Ruy Lopez, Steinitz Variation, which is quite passive for Black) and 4.Bc4 (which usually heads into the Hungarian Defence). 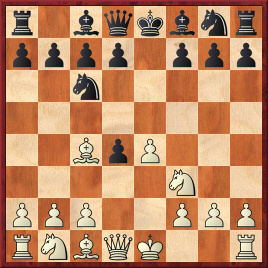 The main alternative is to try the move-order 1.e4 e5 2.d4 exd4 3.Nf3 Nc6 4.Bc4. Here Black has no particularly challenging alternatives at move 2, but 3...Bb4+ may be a problem for some players (best play following 3...Bb4+ is probably 4.c3 dxc3 5.Nxc3 Nc6, transposing into one of the critical main lines of the Göring Gambit). 3...Nf6 also prevents White from getting into a Scotch Gambit, but then 4.Bc4, transposing into the Urusov Gambit, is very much in the spirit of a Scotch Gambit-based repertoire. Alternatively White can also try 1.e4 e5 2.d4 exd4 3.Bc4 Nc6 4.Nf3. Here 3...Bb4+ 4.c3 dxc3 5.Nxc3 transposes into a sideline of the Danish Gambit, though it will most often lead into the Göring Gambit with Nxc3 and ...Bb4. 3...Nf6 4.Nf3 leads to the Urusov Gambit again, while 3...Bc5 4.Nf3 usually heads into the ...Bc5 lines of the Scotch Gambit. Tim Harding, Kibitzer #70, Giuoco Piano, White Wins The Case! Stefan Bücker, Kaissiber Competition (Chesspublishing.com forum), covers 4...Bc5 5.c3 Nf6 6.cxd4 Bb4+ 7.Nbd2!? Jude Acers and George Laven, The Italian Gambit and a Guiding Repertoire for White- E4!, Trafford Publishing 2006. Another source is Chess Openings for White: Explained, but I hesitate to recommend this book after seeing a few reviews that queried the objectivity of the coverage, most notably by John Watson.